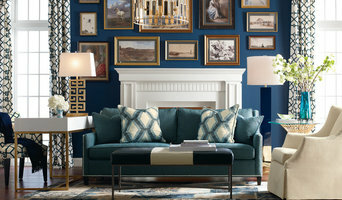 Lamporia.com is one of the most trusted family owned home furnishings stores in the North America. Our product line ranges from majestic ceiling fixtures, elegant wall sconces and beautiful floor lamps to Italian upscale leather furnishings, delecate home accents and all-season modern patio furniture. Why choose the Lamporia.com's products? First of all, we offer great furniture discounts online on all our premium home furnishing brands unlike our competitors. Also, all of our products are handpicked by us as we personally want to make sure that each and every product respects the desired quality standards and design tendencies. The prices on Lamporia are also very competitive, in comparison with other online stores and brick-and-mortar stores. This is achieved by shipping the products directly from the manufacturer to the customer’s door, which drastically reduces any unnecessary costs. Fun House Furnishing & Design provides its clients with personalized design services. Our design services range in capability and can adapt to each clients unique style and budget, whether it is Classic Traditional, Transitional or Modern. We especially love to mix elements from different styles to create exciting and timeless rooms. We think that design should be a fun and an enjoyable experience, where we work with our clients to create the home of their dreams. As a full service design studio, we help our clients select fabric and design options for window treatments, wallpaper, rugs, bedding and lighting selections. We provide our client with floor plans for furniture layouts as well as helping with construction consulting. We also have a retail store with furniture, gifts, accessories, and more! Please stop by the store or call for any further information or to set up an appointment. Start with something extraordinary! Start with DWELLING. As Philadelphia’s premier furniture destination, Dwelling has been providing home solutions to stylish Philadelphians and designers throughout the region. Our extensive collection of furniture, artwork, and accessories is meticulously selected and skillfully arranged throughout our ever-changing showroom to provide vision, ideas, and inspiration to our visitors. From reclaimed wood dining tables and Asian antique cabinets to mid-century modern style sofas and sleek contemporary lighting, we offer something extraordinary in every category, for every style. I've been in the high-end custom built-in cabinetry business for 19 years, Now I have come up with an innovative way to produce not just kitchen re-facing, but very high quality kitchen re-facing. I am so impressed with this system that I am offering a free in home demonstration and estimate of your kitchen. Call or email me today and I will bring a side panel, door, and hundreds of very high quality wood finishes to your home. This process will save you thousands of dollars as opposed to purchasing a new kitchen. I can also design and beat any price quote - guaranteed in writing on a new kitchen as well. Family owned and established in 1968, King Dinettes started providing dining products and has expanded to selling fine custom solid wood and metal furniture for all residential rooms. Our showroom has been in the same location in Green Brook, New Jersey and has built a reputation of generations of satisfying and servicing our repeat and recommended customers with high quality furniture. Our competition has come and gone, because we stand by our products and service! As kitchen, dining room, bedroom, and living room designs have changed over the years, King Dinettes has changed along with them. Our showroom is stocked with the very latest styles in casual furniture. Our well-trained staff is ready to assist with your selection. Our showroom in Green Brook, NJ is the largest custom kitchen, dining room, bedroom, and living room store in the tristate-area. We have one of the largest showrooms that specializes in North American made furniture. If you acquire the best craftsmanship in solid wood products, please check out our Amish furniture collection which offers a lifetime guarantee on all of their products Customization, quality, and service is what separates us from others. We can make you a dining set in any size, shape, style, and color that will coordinate with your requirements. The same goes with our freestanding kitchen Islands, bedroom pieces, TV entertainment units, coffee tables, and much more. If you are looking for a specific size, color, or style that suits your décor at affordable prices, we have it all! No need to hunt from store to store searching for a specific item because with the help from our experienced staff, we have you covered! 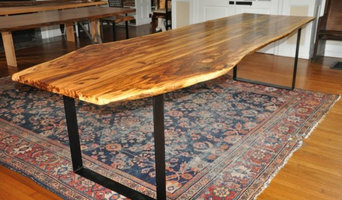 FurnitureCart.com is an online furniture and accessories retailer offering a wide variety of high-quality, brand-name products at low prices. Our website is designed to provide you with as many suitable home furnishings options as possible so that you can create the perfect environment in whatever space you are working with. We at Furniture Cart aim to provide you with the latest in furniture, home furnishings and accessories at a price you can afford. We always carry products that will be the focus of your home’s décor, and always with superior selection, value, and quality. Take your time on any buying decisions. If contemporary is your style, don’t buy something traditional because it’s on sale. Many Pennsylvania home furnishers offer interior design consultations or room planning guides to get you started. Whether you decide to work with a home decor specialist or to become your own expert, it’s important not to rush the furniture-buying process. Visit plenty of West Norriton, PA showrooms and stores so you can feel comfortable with your purchase. Find furniture and accessories manufacturers, showrooms and retailers on Houzz. Narrow your search in the Professionals section of the website to West Norriton, PA furniture and accessories, then choose the nearest metro area for showrooms and retailers. Or you may want to look through Pennsylvania photos to find designs you like and contact the furniture manufacturers and showroom galleries directly.